Cosmetic procedures are the marriage of medicine and art. Traditionally, there has been plenty of emphasis on the technical ability and training that a cosmetic physician has, and for very good reason. Proper technique and training are all key aspects of ensuring safety and consistent results. With cosmetic procedures and surgery, the ultimate goal has always been the enhancement and improvement of the outward appearance of the human anatomy. Until recently, standard procedure has not dictated that practitioners develop a deeper understanding of art and human anatomy. The results of the procedure and a patient’s satisfaction with their cosmetic procedure goes beyond just good technique. With the advancements in medical technology and evolution of cosmetic techniques, we now know that the best results require an eye for artistic detail and customization that come from a deeper insight of how our individual anatomy relates to our outward appearance. Historically, there are plenty of examples of cosmetic procedures that demonstrate excellent technique but lack artistic vision. When you see “bad plastic surgery,” typically, it has to do with how visible and unnatural the results are on the patient. Subtle plastic surgery requires a keen eye for detail and artistry, balancing technique with what is appropriate for the patient’s body. Although plastic surgeons can successfully remove fat from the body, safely place breast implants or efficiently perform Botox injections, not all practitioners produce the same results. Technical training is constantly evolving and pushing the envelope of what we can achieve with cosmetic procedures, yet artistic training is sorely lacking despite it being just as vital, if not more so, to produce excellent results. Cosmetic surgery practices are held to rigorous standards regarding safety procedures and technical training. However, to maintain excellence, we must always look to raising our standards. Plastic surgery and aesthetics is no exception. Cosmetic surgeons go through many hours of practice and training in medical school where the human body is studied. Plastic and cosmetic surgery as an institution does not require formal artistic training, but the need for such training has become clear. Artistic training improves results and increases the quality of cosmetic practices. Even with the extensive training we receive in medical schooling, there are shortcomings. For example, the foundational training course for many medical programs is gross anatomy. During gross anatomy, first-year students study the physical construction and design of the entire human body. This is done typically with cadavers donated to medical science. The study of a cadaver, although immensely informative, is vastly different in appearance compared to the living, breathing bodies of patients that we ultimately work with. The normal, healthy aesthetic of the human body is not studied as rigorously as it could be. But why now? Compared to even just a few years ago, today’s cosmetic procedure techniques have made incredible strides. For example, in liposuction, the VASER system can provide sculpting in many parts of the body. The advent of VASER’s detailed fat sculpting methods has only made the demand for artistic vision even greater. 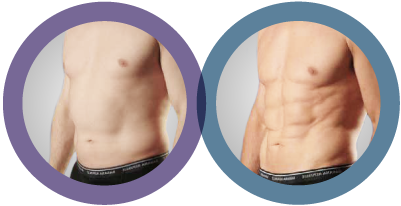 In the early days of liposculpture, we’ve seen abdominal etching where the six-pack is perfectly symmetrical, which simply looks unnatural on the body. Perfectly straight lines and perfect symmetry can be a desirable aesthetic but must be executed with subtlety and in conjunction with your body’s natural curves. Our Founder Dr. John A. Millard has been an outspoken advocate for formal artistic training tailored for cosmetic surgeons. Due in part to the increased demand for artistry in cosmetic surgery, the Sculpting for Surgeons course was born. Sculpting for Surgeons is a specialized course that combines the aesthetic rigors of sculpture and art with the practices of cosmetic medicine. Taught by Dr. Peter Schmid and Andrew Cawrse, the course teaches the principles of anatomy, the human form, 3D shapes, and muscular definition. Dr. Schmid is a well-respect industry leader in the cosmetic world and partnered with Cawrse to develop a curriculum for cosmetic surgeons. Andrew Cawrse is a world-renowned anatomy expert on the artistic display of the human form. From his background in traditional sculpture and digital art, he has more than a decade of experience as an anatomy instructor. The need for aesthetic instruction became apparent, and together with Dr. Schmid, they created the “Sculpture for Surgeons” course. During the class, balance, proportion and fine lines are emphasized because experience has shown that the human eye can quickly detect when someone’s appearance is unnatural. Enhancement with an eye for the subject’s natural beauty is a delicate balance of technique and practice. Artistic philosophy that goes back hundreds of years has continually honed its understanding of how shape, form, and light interact with our outward appearance. In sculpture, Michelangelo’s David highlights a true understanding of human anatomy and beauty in the natural form. Much of the sculpture’s aesthetic appeal comes from the artistic definition of “form,” the way that David’s convex curves and bulges are expertly fashioned. The artistry of the sculpture does not come from an attempt at rigid perfection, but a rich understanding of the human body’s innate artistry. For Dr. Millard, he takes this philosophy to heart both in his own practice and when teaching fellow body sculptors, citing a quote from the great Renaissance artist Michelangelo himself, “I saw the angel in the marble and carved to set him free.” Artistry and anatomy are crucial tools of the cosmetic and plastic surgeon. One area of practice where this philosophy has proven its value is with liposculpture. New techniques like the VASER take the capabilities of body sculpting to new heights. The Advanced Body Sculpting Institute realized that to make the most of these tools, our methods and philosophies need to evolve as well. In the past, liposuction and liposculpture methods were often looked at with a simplistic understanding: suctioning out fat from the body where there was excess. In a sense, it was like going through the later with a butcher’s knife and a vacuum. These philosophies and methods were limited in scope and result. We now know that fat reduction is only part of the equation. With the Vaser body sculpting treatment, the standards have been raised, giving us the ability to sculpt and shape the body to reveal natural muscle contour and definition. Ultrasonic waves, a newly designed probe, and “atraumatic” fat extraction cannulas are all unique features of the VASER body sculpting treatment. These unique features give the highly skilled team at the Advanced Body Sculpting institute the capability for high-precision body sculpting. Where artistic anatomy comes into play specifically in practice is through the Advanced Body Sculpting Institute’s specialized understanding of “dynamic apogee.” Gained through intensive study of artistry and anatomy, the method of producing apogee abs involves ascertaining the precise apogee points of the individual abdominal muscles. The apogee points are the peaks of abdominal muscle projection. 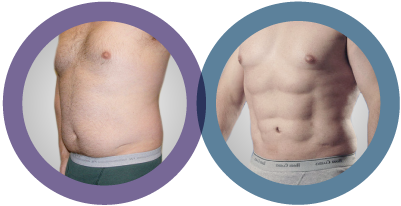 Abdominal fat transfer and VASER sculpting are employed to optimize these natural features of your body. Our autologous fat transfer methods are also in step with the philosophy of unlocking your body’s own potential and optimizing your natural features. Fat grafting is widely practiced for body enhancement, but when applying the philosophies of artistic anatomy, the results can be truly elevated. 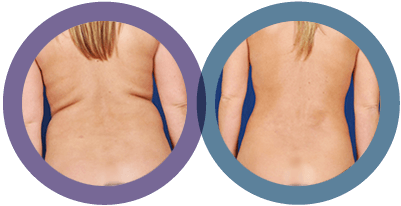 The Advanced Body Sculpting Institute’s Avante-garde UGFAT methods combine ultrasound practices with fat transfer placement methods. Our state-of-the-art filtration techniques give us a 97% pure fat graft to sculpt the body. Fat transfer techniques are an integral aspect of body sculpting and using natural features of the body to achieve proportion. The idea of “tailored anatomy” is at the crux of artistic anatomy and plastic surgery philosophy. Where older methods may have aimed for a rigidly standardized ideal of beauty, the future of cosmetic procedures is about understanding that we are each our own unique pieces of art. For example: in one individual, an enlargement of the buttocks with a fat graft may make sense, but for another, their anatomy suggests that fat sculpting from the abdomen would present a more appropriate and natural figure. Each individual has a unique composition of fat structure, skeletal shape and muscular definition that is special to us and nobody else. The interplay between fat distribution, muscle contraction, and the “between spaces” of muscle groups require a keen understanding of artistic anatomy. As advocates and pioneers of artistic anatomy, Advanced Body Sculpting Institute has developed new tools and is constantly refining their methods with these philosophies in mind. The results have proven time and again that tailored anatomy and artistic anatomy are elevating cosmetic surgery practices as a whole.